Education: Megan obtained a Bachelor of Science degree in Psychology from Louisiana State University (1991) and a Masters of Social Work from Florida State University (1993). She has been a Licensed Clinical Social Worker in Florida from 1995 to present and is a Qualified Supervisor for Florida Licensure. 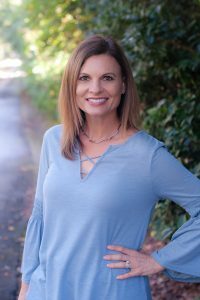 Megan has worked in the adoption field in Florida since 1993 and has been working with Nightlight Christian Adoptions since 2016. Responsibilities: Megan ensures compliance with state laws and oversees the programs in the Florida office. She works with expectant parents by helping them make a hospital plan, connecting them to resources, facilitating match meetings between the expectant parents and prospective adoptive parents, and offering continual support. Megan also assists Florida families by conducting home studies and guiding them through the initial Domestic Program phases. She maintains relationships with community organizations, such as pregnancy centers, health clinics, and hospitals. Megan believes that adoption is a beautiful way to build a family, and she is thankful to be part of a team that provides hope and life-affirming options to women and men facing unplanned pregnancies.